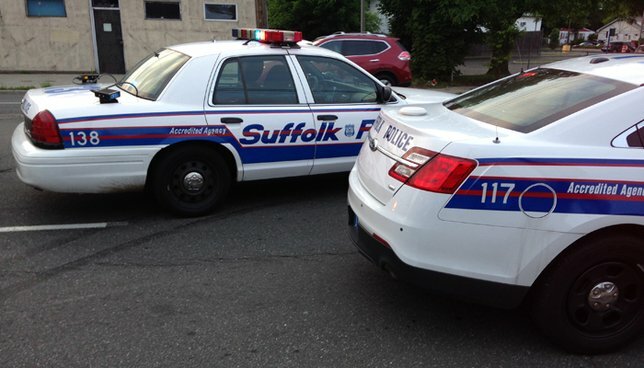 SCPD are seeking the person involved in a Cold Spring Harbor hit-and-run. Cold Spring Harbor, NY - February 8, 2019 - Suffolk County Crime Stoppers and Suffolk County Police Second Precinct Crime Section officers are seeking the public’s help to identify and locate the person driving a black SUV that was possibly involved in a leaving the scene of an accident in December in Cold Spring Harbor. An SUV pushed a 1998 Mercedes Benz into the Allstate building, located at 85 Main Street on December 22, 2018, at approximately 1:30 a.m. The black SUV is believed to have front end and/or front end passenger side damage. Subject: LongIsland.com - Your Name sent you Article details of "Driver of SUV Wanted or Hit-and-Run Incident in Cold Spring Harbor, Cops Say"